Sometimes I really miss the 10th Doctor. Peter Capaldi is awesome, don’t get me wrong. He just needs better writing on his stories. The 10th Doctor was pretty special. Definitely one of my favorites. At least now I can control my TV using his Sonic Screwdriver. 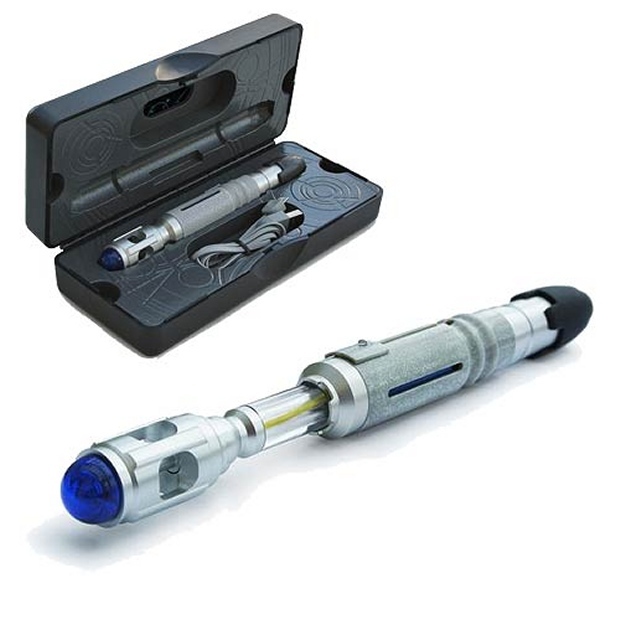 This Tenth Doctor’s Sonic Screwdriver Remote is probably the most authentic prop replica of the 10th Doctor’s multitool ever made. It is a fully functioning gesture-based remote control. It measures about 7 1/2-inches long and has a built-in rechargeable battery. Look at the detail on that case. I love this remote! Maybe you can also make it control Netflix and dim the lights so you can Netflix and chill.